Scientists now say they've got enough blood and bone to bring an Ice Age icon kicking and stomping into the modern age. All thanks to a remarkably well-preserved mammoth found in Siberia last summer. 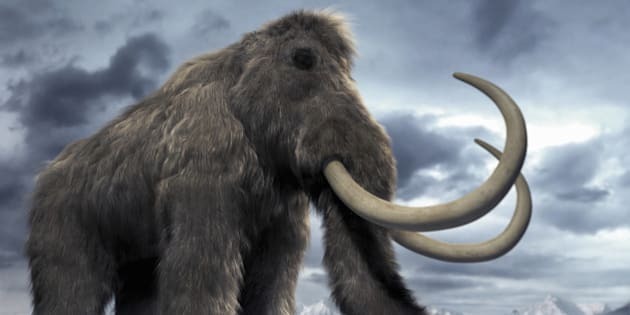 "The data we are about to receive will give us a high chance to clone the mammoth," Radik Khayrullin, of the Russian Association of Medical Anthropologists, told the Siberian Times. Researchers at Russia's North-Eastern Federal University discovered the remains-- mammoth hair, soft tissues and bone marrow -- in the northeastern province of Yakutia. During the autopsy, they were surprised to find an incredibly well preserved corpse -- better, in fact, than "a body of a human buried for six months," another scientist told the Times. Since last summer, the scientific community has been buzzing about the possibility of breathing life back into those old bones -- or, more specifically, bringing life forth from new bones. An elephant, as its closest living relative, would be the ideal surrogate mother for a modern-day mammoth. The idea, as Tanya Lewis writes for LiveScience, would be to implant a mammoth embryo into an elephant, which would then give birth to a very, very old baby. Keep in mind, if scientists are successful, the ancient behemoth won't look exactly like it once did. 'It will be a different mammoth to the one living 43,000 years ago, specially taking into account that there will be interbreeding with a female elephant," Khayrullin told the Siberian Times. But then again, Khayrullin added, scientists won't make the attempt just to play God. "We must have a reason to do this, as it is one thing to clone it for scientific purpose, and another to clone for the sake of curiosity." The world thought it saw the last of the woolly mammoths somewhere around 10,000 years ago, although small groups may have persisted longer in Alaska and on islands off the Siberian coast. According to Discovery News, they may have been hunted into extinction by -- well, here's a surprise -- humans. Of course, as National Geographic surmises, global warming and celestial bombardments are also potential culprits. But if it was indeed us, well, it looks like we may have changed our minds. So, welcome back woolly mammoth. And sorry about all that extinction.